Sugar Bowl Ski Team ordered new Spyder gear for the upcoming 2018 - 2019 ski season. 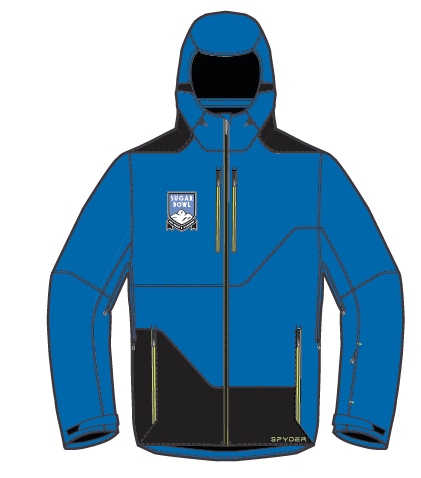 Wearing a SBSTA uniform jacket is mandatory for all youth ski team programs, from Mighty Mites to U14 alpine programs. If your athlete has a SBSTA jacket from a previous year, they are welcome to wear that. The Spyder jackets and shorts are available to purchase now but will ship directly to your house in early November. Please reach out to the Head Coach, with questions. If your athlete is signed up for Snow Rangers or Freeride, the program Directors will have other options available. If your athlete’s size is not available for purchase, contact Nick Santamaria for additional options. Available in sizes youth 6 through youth 20.